We are women from the Women’s Peace Initiative in Turkey. We are concerned about the fate of families who have been displaced as a result of the destruction caused by the Turkish Armed Forces in towns in the Kurdish region in their drive to oust the Kurdish militia. We are asking you for support to rebuild the lives of those displaced by this war. Over the last three months 21 neighbourhoods in 7 towns of the Kurdish region in the Southeast of Turkey have been under curfew and have sustained devastation that can only be compared to that of Dresden during WWII or, more recently, Kobanê in Northern Syria. 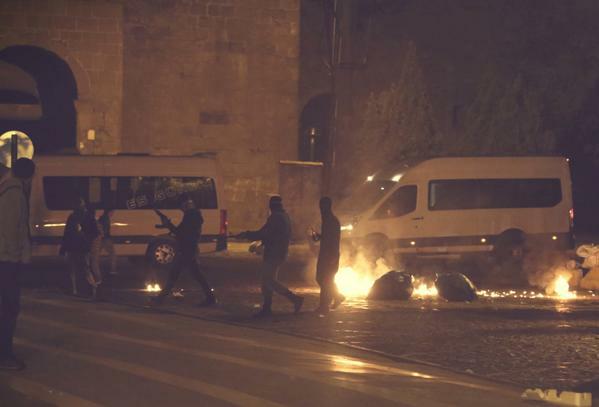 Armed militants appeared on the streets of Diyarbakır, Southeastern Turkey tonight (20/10/2014) in a demonstration of combative solidarity with Kobane and in complete defiance of the fascist Turkish government. 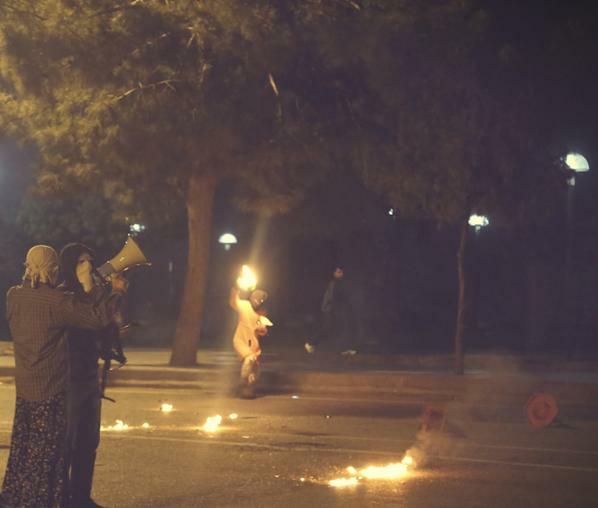 The comrades expressed their anger by setting up burning barricades, throwing many molotovs and firing shots in the air. Messages of support for Kobane and denouncing the fascist Turkish state were broadcast via megaphone so all the people could hear. 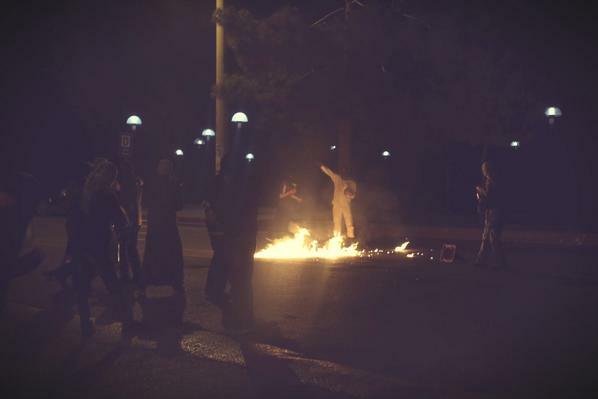 The comrades escaped into the night avoiding capture by Turkish security forces, all in all, a successful display of militant solidarity from deep within the Turkish state that gave hope to many Turkish people living under AKP tyranny and reminds Kobane & whole world that not all Turkish people support the barbaric actions of the criminal Erdogan regime!